Does Microsoft's Kumo Herald an Era of Visual Search? 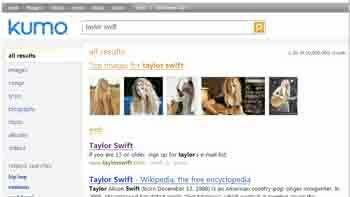 Microsoft's Kumo search engine images leaked when the company asked for internal feedback. I don't care if the release was a surprise or a sly attempt to build media attention; I'm hoping the tool creates a new era of visual searching. As is, Google searches are indispensable for work and home research. You can find a local pizza, phone number for a distant business, or seemingly answer any question. The web's growth owes a lot to text searches. I even rely on internal PC searches as a main file-browsing tool. But computers haven't been able to reliably search images. Some have speculated that Kumo could visually search pictures, returning similar hits based on what it sees. Whether Kumo is the first mass market tool that does this or not, the ability could be coming soon--within years, not decades. Right now, tools can read text from photos better than ever. A favorite, Evernote, can even read handwriting, making that text searchable. Apple's iLife 09 can be trained to recognize family and friends with decent success. It'll even spot pets, although that's not a supported use. Yet, it's hard to even imagine how computing would change with a useful, universal visual search tool. You'd be able to find pictures of certain people, landmarks, or just specific objects. Or you could find a photo of Bill Clinton with Barack Obama and not George Bush. Google approaches these results by reading file names and text near images. But could Kumo actually spot a white wolf in an image without any help from text? If so, you'd get even more--and better--hits than text searches. And those results would make any searches smarter and better. It's a huge undertaking, but I think developers are approaching this level of visual searching. Here's hoping that Kumo will retrieve files in a wink with just a glance. Zack Stern is a writer and editor based in San Francisco.